Vauxhall “New” Astra – On The Podium, But Does It Take The Gold? We always liked old Astra, it was a pretty looking car that was easy to live with, decent to drive and didn’t cost a fortune to run. However, we never felt the old Astra was the equal of the Ford Focus, which for us, just ticked all the boxes for a car in its class. Yes for a while, the Astra gave the Focus a good run for its money, but because the Ford’s engine line up was so much stronger and so much more up to date, and because the Focus just drove so superbly, it was never going to be a case that we recommended Astra over Focus. But now, there is a new Astra and a Focus that’s getting a little old, so we couldn’t miss this opportunity to put them head to head to see if this new offering from Vauxhall has sneaked pas Ford Focus into pole position. Just like its bigger brother the Insignia, Vauxhalls “new” Astra is an all-new car, with only its name remaining the same. If You’ve seen a Vauxhall Insignia, you are immediately going to recognise the family likeness, as the new Astra takes many of its design cues from its bigger brother, but in our opinion, carries it off better, looking modern stylish and bang on the money. In fact, if you compare “new” Astra with most of its competition, I have got to say, they begin to look staid and old fashioned by comparison and we include both Ford Focus and VW Golf in that, so its definitely first points to “new” Astra in the vanity stakes, as unusually, there are no bad angles when you look at New Astra, its good looking every which way and there are not many cars you can say that about. They say looks aren’t everything, so I guess we better get a bit more serious. Astra now sits on a new longer wheelbase platform, which not only gives lots more space inside the car, but also improves the ride and stability compared to the old car. The new Astra has revised steering with Vauxhall following what Renault have done with new Megane, and that’s to power the steering rack, rather than just the steering column, allowing Vauxhall (they say) to electronically tune the steering so its right at all speeds and in all conditions. Inside the car is a fairly nice place to be, its wider than the old car and less cramped, both back and front and really can seat 5 biggish adults without anyone moaning they are getting the short straw and that even goes for the passenger in the middle at the back. There are stacks of little cubby holes and storage places which demonstrate that someone thought this out from a passengers perspective. The Astra’s boot was well acceptable also, being 351Ltrs with the seats up and 776ltrs with the seats folded, although Vauxhall say if you pack it to the roof, well you can cram in a massive 1216ltrs ’of stuff’ and on some models, you also get a folding false floor which Vauxhall call “FlexFloor” which allows you to carry different things in different areas of the boot. The dash is pretty enough and looks really well put together, using high quality materials (as they have throughout the cars interior). The instrumentation is clear and it’s easy to read and we just loved it when we pushed the “sport” button as the instrument illumination changed from white to a moody red, but we had the same criticisms we had with Insignia and that’s that the layout is just too complicated and confusing, with over 40 buttons that you can push. Spec wise, our car was an “SE” so was fairly high up the spec line-up and had pretty much all you need, although we were spoilt by the extras fitted to the car, such as Satellite Navigation, which you don’t get on a standard car. With CO2 emissions now playing a big part in our decision making process when we choose our next car, Vauxhall have clearly been working hard and say they have achieved an average reduction of 13% in CO2 emissions spread across the 9 engine choices, four of which are diesels and five petrol’s. Diesel options are the 1.3CDTi 95ps eco-FLEX which turns in a credible 109g/km of CO2, and two versions of the 1.7CDTi 16v, one producing 110ps and the other 125ps and both only produce 124g/km CO2, which is decent achievement and much lower than the old Astra could offer whilst the 2.0CDTi produces a massive 160ps, but still only produces 126g/km, clearly demonstrating that Vauxhall is committed to what they refer to as “always respecting our world”. For those of you that decide to go the petrol route, there are a couple of 1398cc 1.4 units, one 87ps and the other 100ps and both stay under the 130, with 129g/km emissions, whilst the 1364cc Turbo 1.4 produces 140ps and a CO of 138g/km. There are two 1.6 petrol units, the first a 115ps, whilst top of the range is the 1.6 Turbo, which produces 180ps, although the tree’s pay for it with its 159g/km of emissions. Automatic transmission is available as an option, but only on the 1.6 petrol and 2.0 diesel. For those of you that like gimmicky things, the new Astra has a system Vauxhall call FlexRide, which at the touch of a button, allows you to change the way the car both performs and rides. There are three settings, Standard, Sport & Touring and each one alters the damper settings, steering assistance and throttle mapping and the car is noticeably different on each of the settings, however our car was a 110ps Diesel and we found the only way to get a reasonable performance in urban areas was to use the sport setting all the time, although I can understand that on a motorway or perhaps on a long run, that you might just choose the touring mode, to soften the ride a touch and potentially save fuel as well. We liked the Astra’s looks, its pretty. We liked the space inside and we didn’t feel claustrophobic as we did in Insignia. We liked the way the Astra was built and the high quality of the materials that have been used and we liked the fact that just at this moment, it was keeping people in work at Ellesmere Port (although the car is going to be built in Poland also in the near future). Driving the Astra was easy and getting comfy and finding the right driver position was simple and the cars handling was crisp and precise in most conditions, with little road noise. We didn’t overly like the cars electronic power steering, feeling that it never gave us any real feedback from the wheels, we didn’t like the overly complicated and confusing dashboard, and we didn’t like the huge A-Pillar that made visibility difficult when taking bends on the driver’s side. We didn’t feel the 1.7DCDTi engine in our car was powerful enough, unless we opted for sport mode on the FlexRide system. So in summary, this sixth generation Astra has come an awful long way since the first Astra went on sale back in 1980 and indeed, its come a long way from the Astra is replacing. Unfortunately for Vauxhall, everything else has moved on also and whilst some of its competition are fairly new, such as the Mk6 Golf and the good looking Renault Megane, others, like the Ford Focus, have continued to evolve and have just become better with each facelift and its that which makes it so tough for us to tell you that the “new” Vauxhall Astra is our favourite hatch, because it isn’t. Despite everything, despite the age difference, we feel that at this moment, the Ford Focus is still simply a better sorted car, it does everything well, handles like a dream, is one of the easiest cars to live with full-time and so despite the new Vauxhall Astra being one of the best in its class, we cant give it our unreserved top of the pile thumbs up that we would like to and perhaps, which it possibly deserves, so I guess the best we can say is that the new Vauxhall Astra is our “second favourite best hatch” just missing out on the gold, but picking up silver instead. Currently Astra is only available as a 5dr hatchback, but there will be an array of other versions in the coming months and years, which are likely to include a 3dr Coupe, an Estate version, possibly a Coupe Cabriolet and lets hope Vauxhall produce it in VXR spec also, because that’s something they do very well. So if you are in the market for a mid sector 5dr hatch and you don’t fancy a Ford, go off and get yourself a new Vauxhall Astra, as it’s a lot lot better than most of its competition. However Vauxhall should make hay whilst the sun shines, because there is an all-new Ford Focus due out at the tail end of 2010 and unless Ford mess up big time, it seems the Ford Focus is destined to remain the car that we would get our cheque books out to buy. 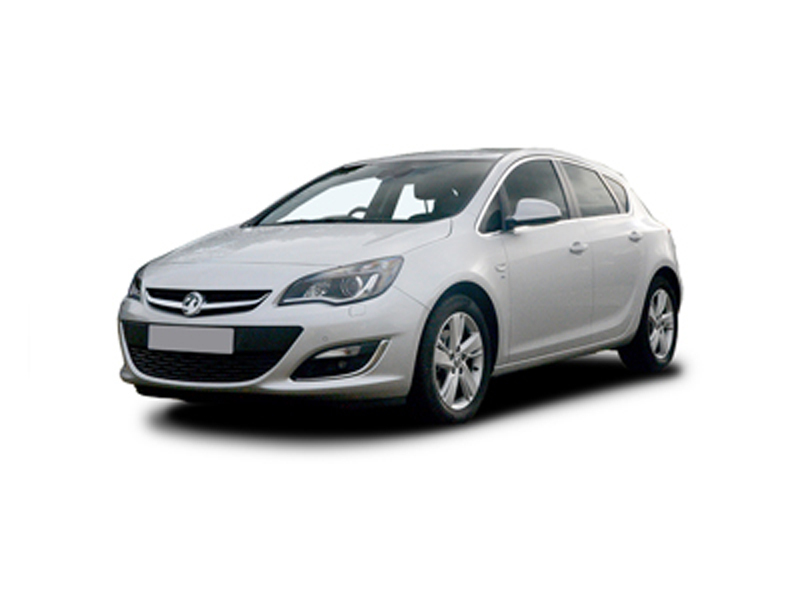 For a quotation on the new Vauxhall Astra or on any other Vauxhall, please contact us.